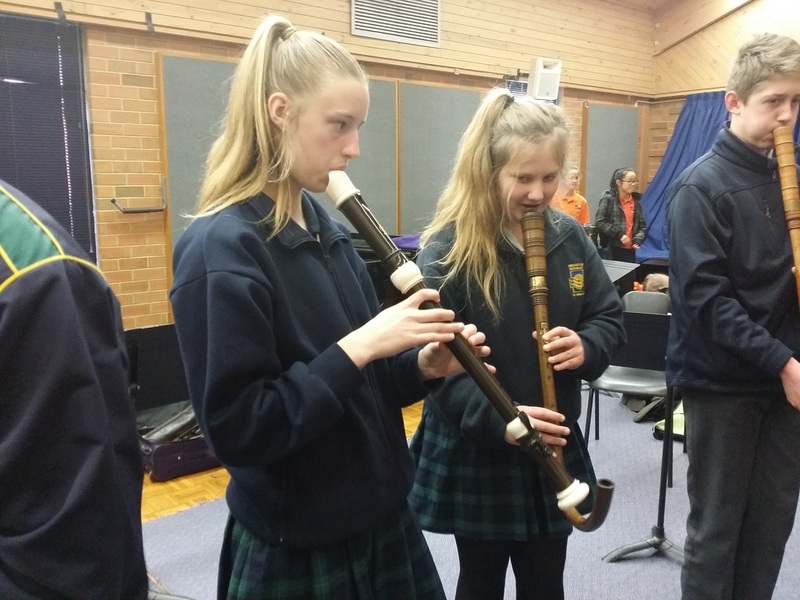 On the 21st November 2015, 24 music students along with teachers Jeffrey Kong, Andrew Barrett and Emma Borgas embarked on three-week grand European tour. It was a wonderful and fitting celebration of Mr. Kong’s 40 years at Brighton Secondary School. The group jetted off for Rome, Italy where we spent a week enjoying pasta and pizza as well as singing in some of the most beautiful churches in the city, including St. Maria dei Miracoli, St. Maria in Traspontina and St. Peter’s Basilica at the Vatican. From there the group travelled by bus to perform in Florence and soak up some culture at the Uffizi gallery, then on to Padova and Venice. The next leg of our journey took us across the border to Austria where we saw our first snow, (albeit a thin layer in the carpark of a highway rest-stop). We soon arrived in Salzburg the birthplace of Mozart, where we visited the house where he was born. The next morning it was on to the picturesque city of Innsbruck - the site of several Winter Olympics - which is situated in a valley surrounded by beautiful snow-capped mountains. Here we performed at the Tirol Landeskonseratoruim and explored the Christmas Markets. 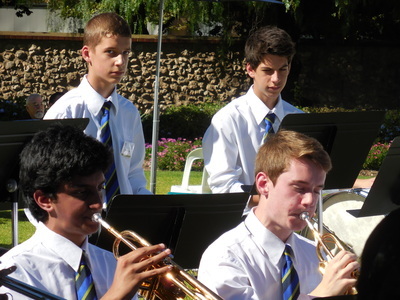 Our next performance destinations included Vienna and Prague (the capital of the Czech Republic), where we took part in a lunchtime concert at St Nicholas Church in the main square. 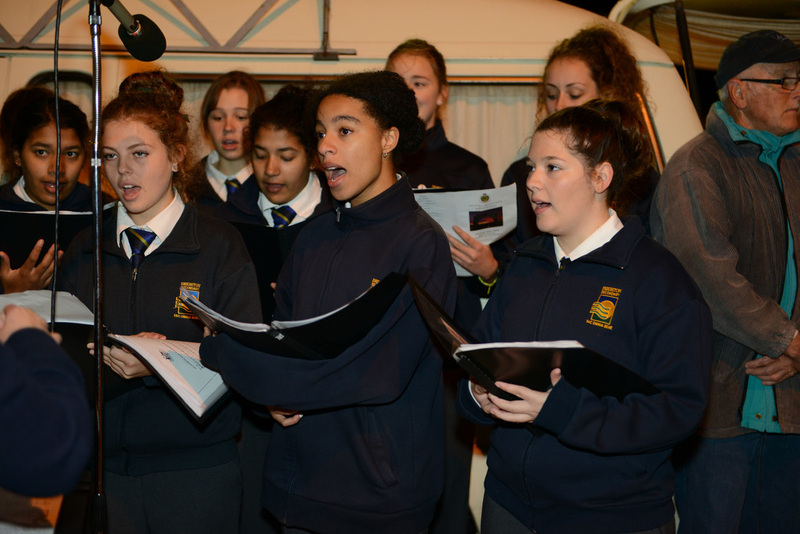 The second-to-last stop was the tiny German village of Jessen where we were warmly received with a magnificent afternoon tea and joined by the local choir in a rousing rendition of Bach’s famous chorale Jesu, meine Freude. We then relaxed all day on a chilled-out bus trip (complete with the soothing sounds of ukulele), to arrive in Warsaw, Poland. 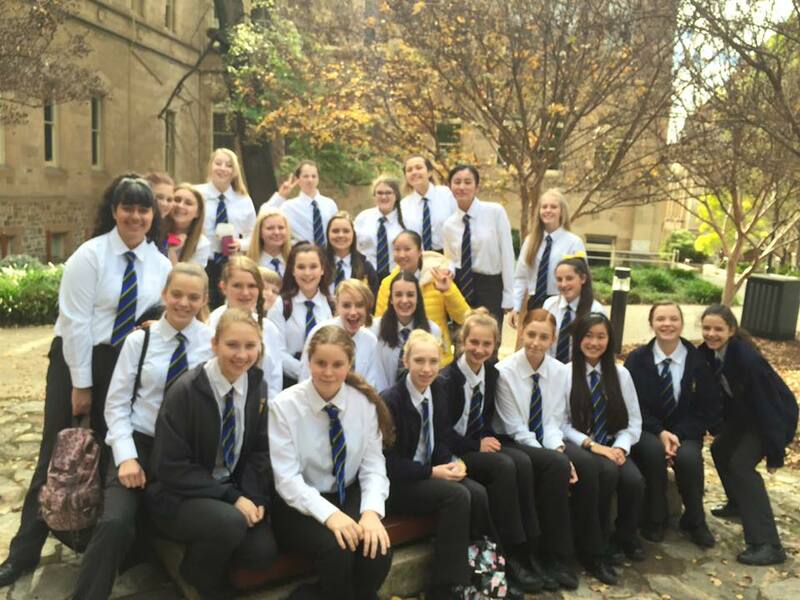 Here we took a tour of the Chopin University of Music, watched a performance of a children’s opera (in Polish), took a relaxing stroll in Warsaw’s largest park which was full of native wildlife and visited Nazareth Catholic Girls School. It was an amazing experience and action-packed tour which has left us all with memories we will treasure forever. 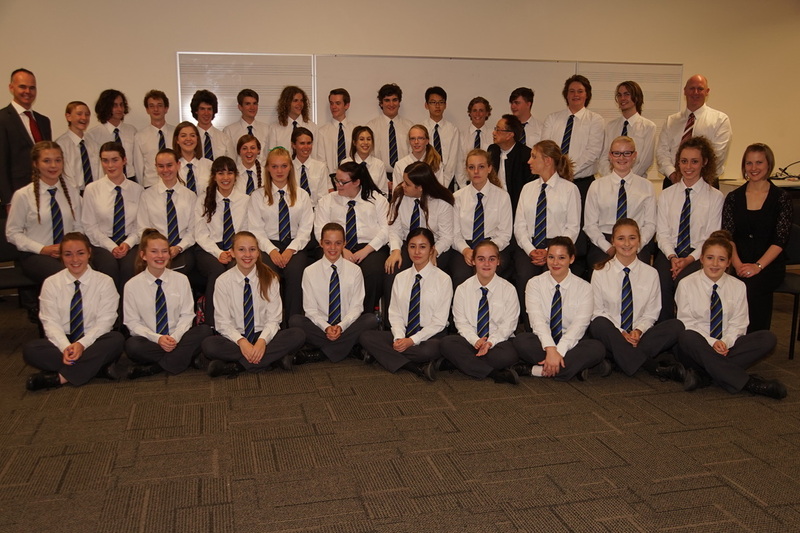 On Wednesday the 28th October 2015, Brighton Secondary School held its annual Valedictory evening at the Adelaide Convention Centre. 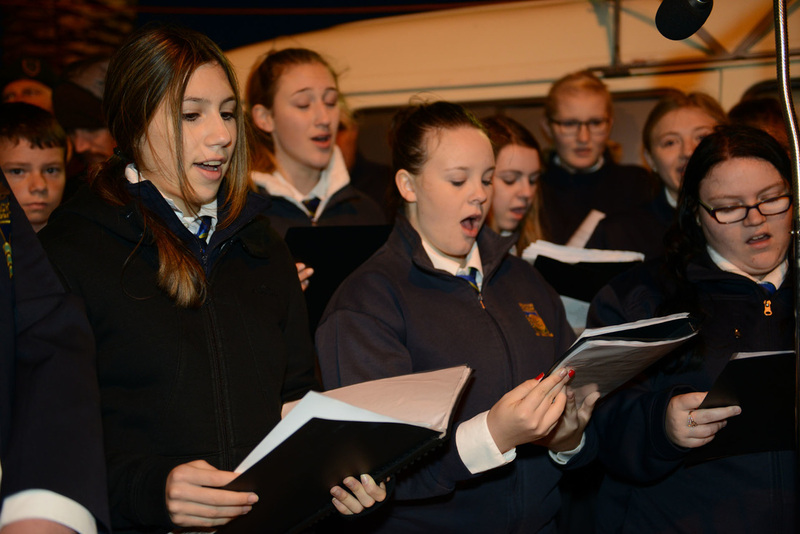 The night gives staff and students opportunity to reflect on their journey together throughout high school. 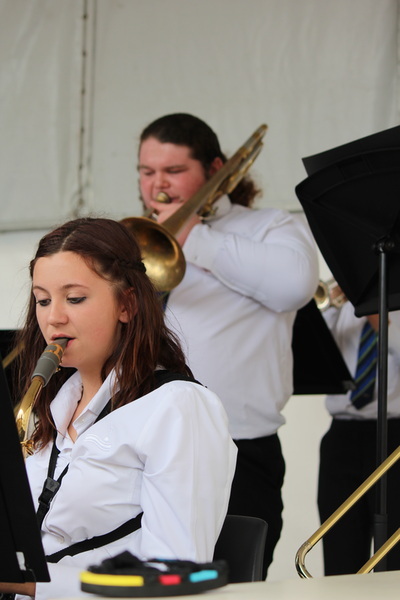 Each year, the students from the Music department provide exceptional music and this year was no different. 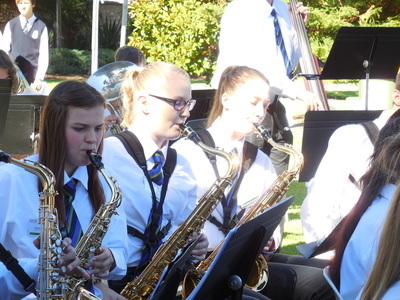 Below are a number of photos of the performers from the evening. 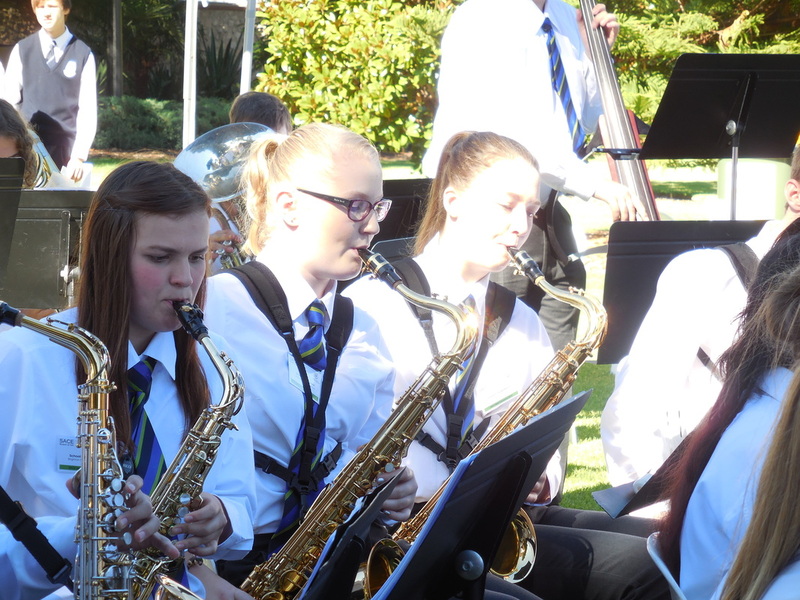 On Friday the 23rd of October 2015, Brighton Secondary School's annual Jazz Cabaret was held at The Grand Ballroom. 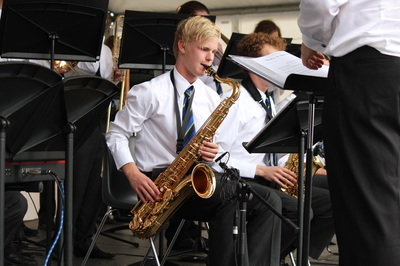 The audience (in excess of 300 people) was entertained throughout the night by Big Band 1, Big Band 2, 'The James Brown Experience', and guest soloists. 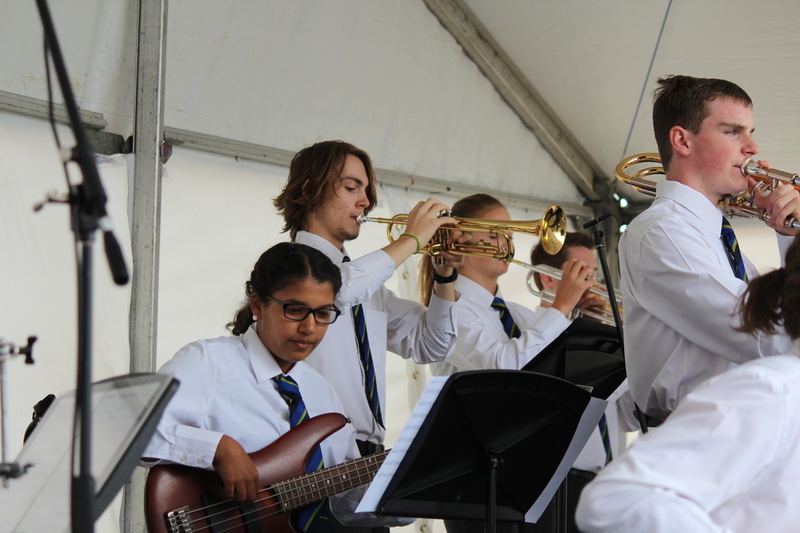 The night kicked off with 'The James Brown Experience', a nine-piece ensemble formed to develop the improvising skills of students. They played several of their own compositions which featured cool grooves and lyrical soloists. The 'house band' of Andrew Barrett, Mark Cameron-Smith, and David Hopgood (on piano, bass, and drums) accompanied two 'featured soloists' as they sang the jazz standard My Romance (Gillian Taylor), and Adele's My Same (Mikaela Link). 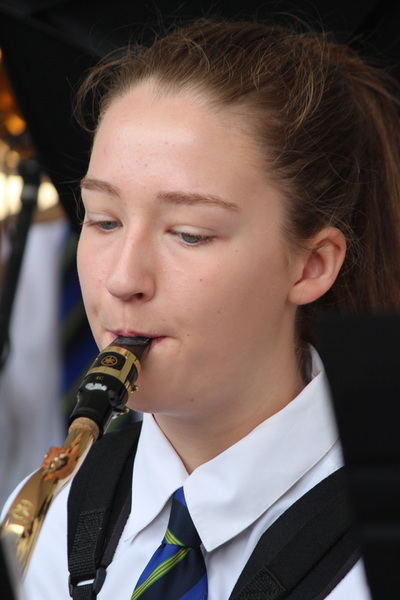 Big Band 2 took to the stage soon after the girls and performed 6 songs from their 2015 repertoire which included solos from numerous band members. A new feature to this year's cabaret was the inclusion of vocalists with Big Band 2's repertoire; something previously the realm of Big Band 1. 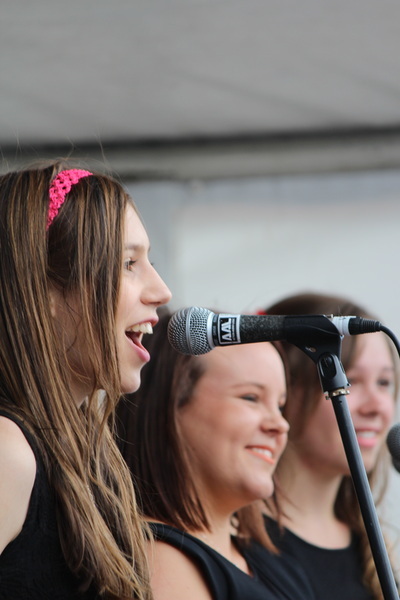 Four young (Years 8 and 9) vocalists took turns to sing You’ve Got A Friend In Me (Sofia Dilettoso), Skyfall (Jessica Delbridge), Sway (Laura McArthur), and It Had Better Be Tonight (Elmira Tebyani). 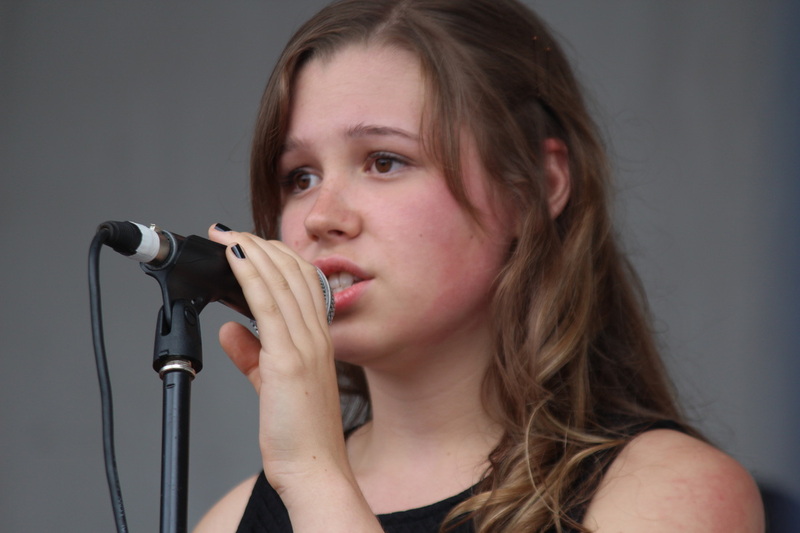 The last two featured soloists of the night saw Chloe Bentley and Amber Timms sing That Man, and Kayla Ikeeboh singing an up-tempo Latin version of the jazz standard, It’s Only a Paper Moon. 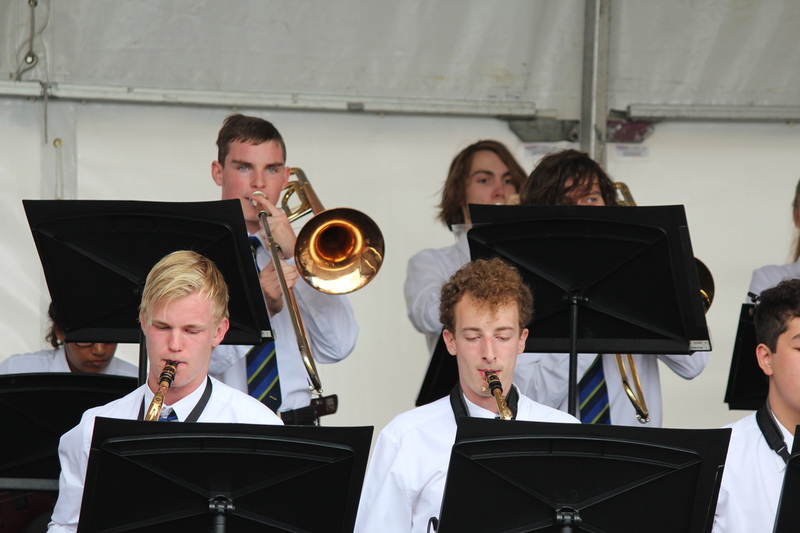 The evening leapt to another level with Big Band 1 filling the hall with their sound - truly a 'big band'. 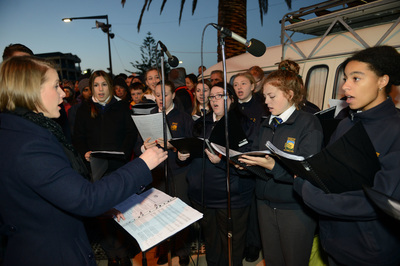 After 4 charts of their own, they were joined by Year 12 vocalists as they gave their all on the evening that coincided with their last day of school: Feeling Good (Kaitlyn McKenzie), You Are The Sunshine Of My Life (Eliza Sard), Mas Que Nada (Roan Johnson), I Can’t Give you Anything But Love (Ashlee Giles-Swinton), The Lady is a Tramp (Kira-Lee Chammings), and Come Fly With Me (Martin Oakley). 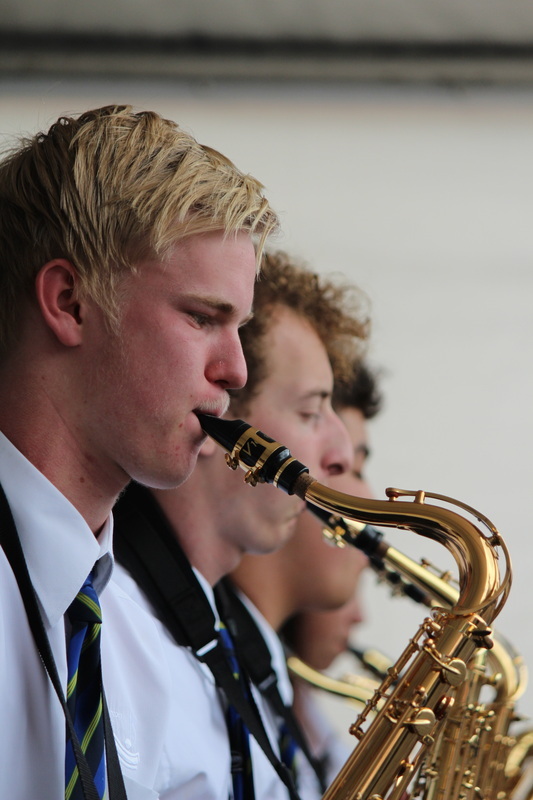 After the vocalists wowed the crowd, Big Band 1 finished their set with Craig Bentley farewelling the Year 12 band members - James Baird, Felix Chapman-Petrone, Ashleigh Macklin, Kyle Trevenen, and Rhys Williams. The evening finished (like every year) with Big Band 3 (Big Band 1 and 2 added together) playing a New Orleans street-groove version of the Mancini classic, The Baby Elephant Walk. You can view the set list from the evening on our Concert Programs page. On the 15th September 2015, Brighton Secondary School together with other members of the Holdfast Partnership held the 2015 Moon Lantern Festival. Funds raised will help support a kindergarten, built in Cambodia, in conjunction with Paul Munn's Cares for Cambodia charity. 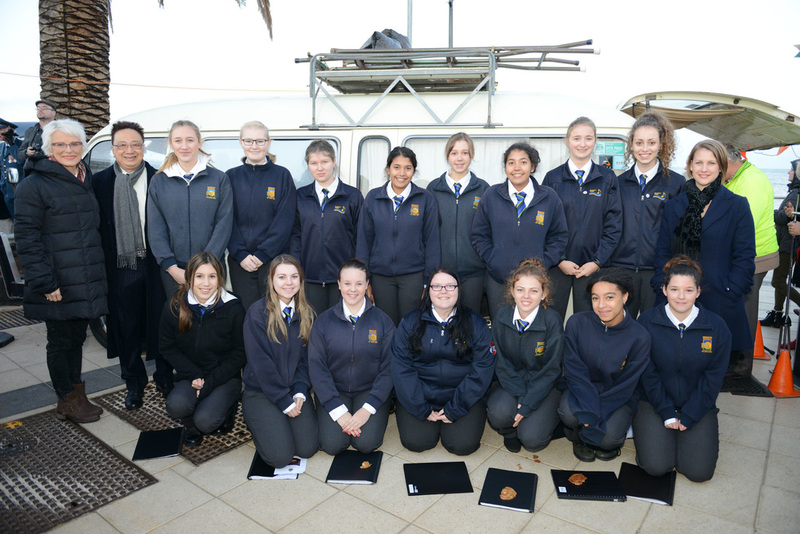 The Holdfast Partnership comprises Brighton Secondary School, Brighton, Glenelg, Paringa Park, St Leonards and Warradale Primary Schools and Warradale, Ballara Park, Oaklands Estate, Seacliff Community, Somerton Park, Baden Pattinson, Dover, and Dunbar Terrace Kindergartens. Andrew Barrett's composition 'Unity' set to lyrics by student Rebekah Rath was beautifully performed by Emma Borgas and students Amber Timms, Chloe Bentley, Elmira Tebyani, Emma-Lee Johns, Amelia Sard, Charlie Barwa, Lizzie Hartley with backing track recorded by the Treble Choir, Timothy Braslavskiy, Andrew Barrett and Mark Cameron-Smith. 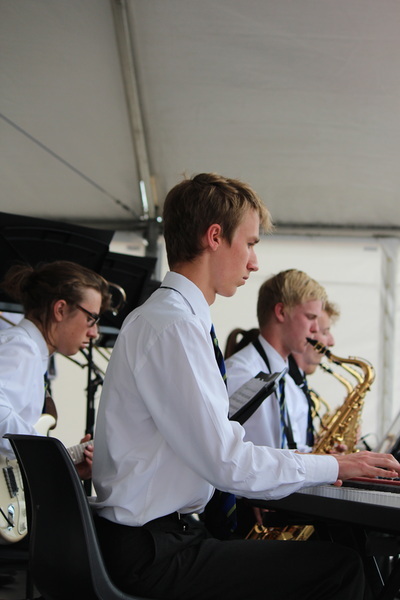 On the 10th of September 2015, Big Band 1 performed Shake a Tail Feather as an Assisting Artist at the 3rd in the series of concerts. 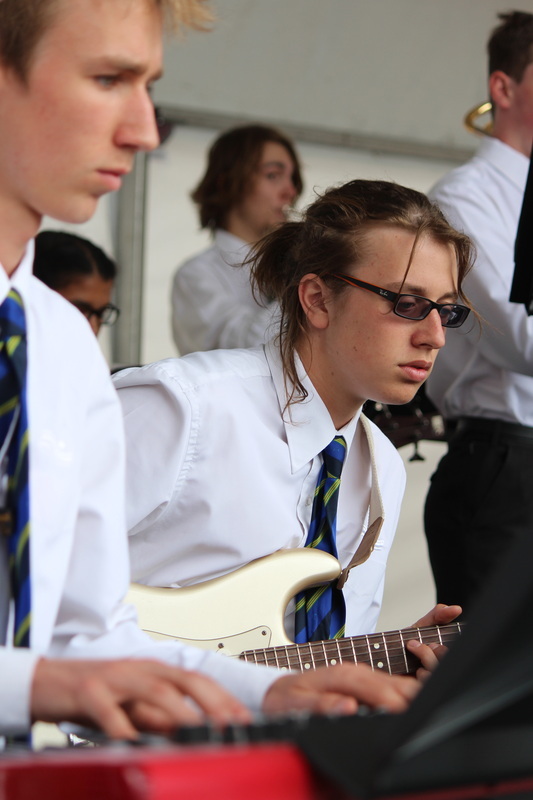 The band donned sunglasses and did Brighton proud with their rendition of the soul classic, most famously performed by The Blues Brothers. On the 15th of September 2105, Big Band 2 performed Sesame Street as an Assisting Artist in the Festival of Music. Not to be outdone by Big Band 1, Big Band 2 also created their own animated GIF to capture the vibe in the green room before their performance. The Festival of Music first occurred in 1891 and this year's concert-series is the 120th since it's inception. 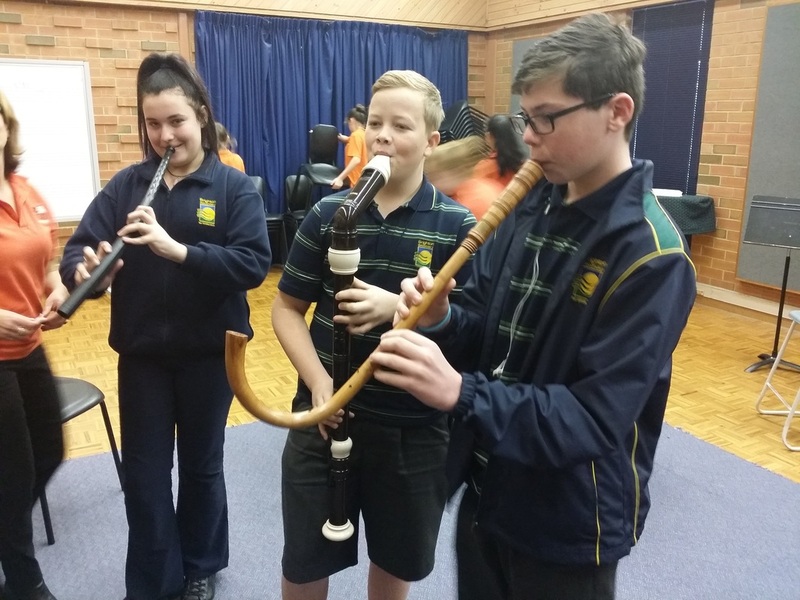 It gives thousands of primary and secondary children opportunities to perform at prestigious venues, such as the Festival Theatre, Adelaide. On Wednesday the 9th of September, the percussion students and staff put on another wonderful Percussion Showcase in the Brighton Concert Hall. The use of a paperless program that appeared on the screen was well received and made the night flow very well. It was great to hear all the percussion ensembles playing a range of music. Hearing the debut of Mr James' composition, "Jeffs' Tea Party" (dedicated to the retiring Head of Music, Jeffrey Kong) for the first time by the Year 8 percussion ensemble was a particular highlight. 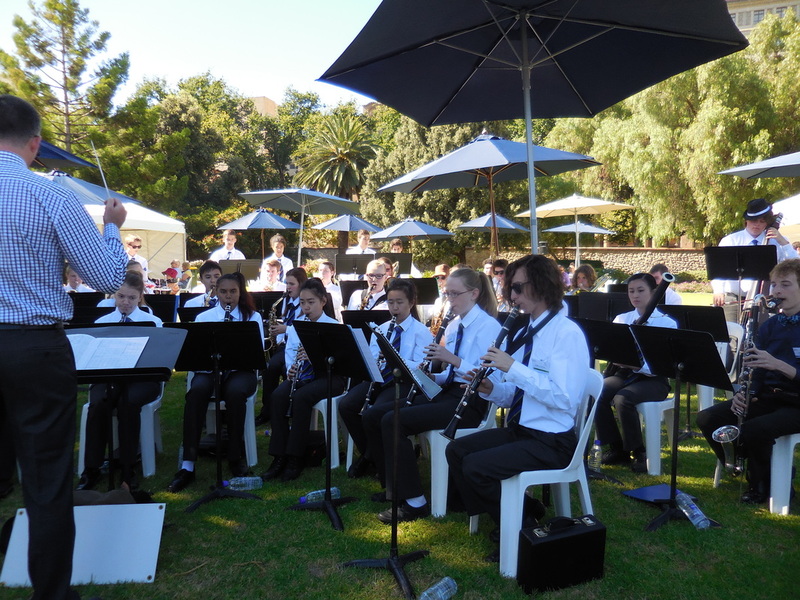 It was with great delight that Marryatville High School Percussion Ensemble directed by Peter Matzick joined us as special guest. Thank you to Brett Carruthers, Craig Bentley, Andrew Dean and Pam Parsons who helped out during the concert. 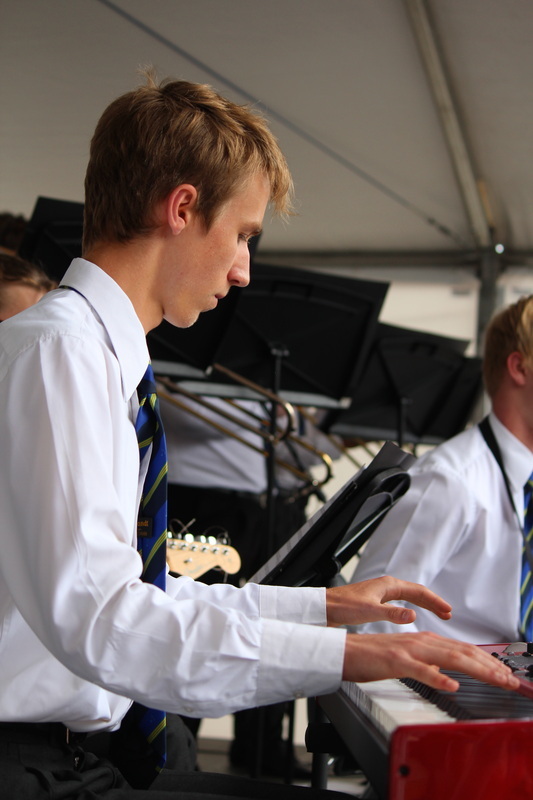 And of course thank you to the percussion students who were a credit to the music department. 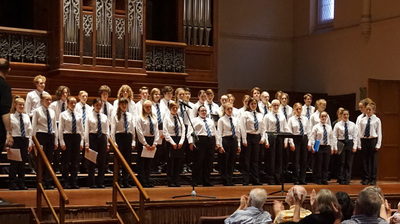 On Saturday the 29th of August 2015 the annual Music Spectacular was held in the Brighton Concert Hall. 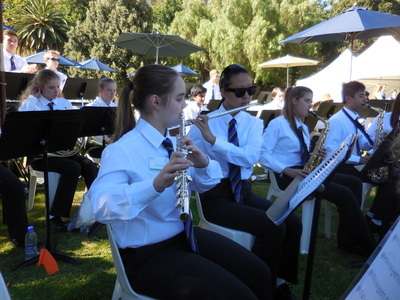 Both the matinee and the evening concerts were extremely well attended with the evening concert selling out before the day. All extra curricular ensembles performed with a few special guests. You can read the program from the concerts on our Concert Programs page. Below are a series of photos from the concerts. 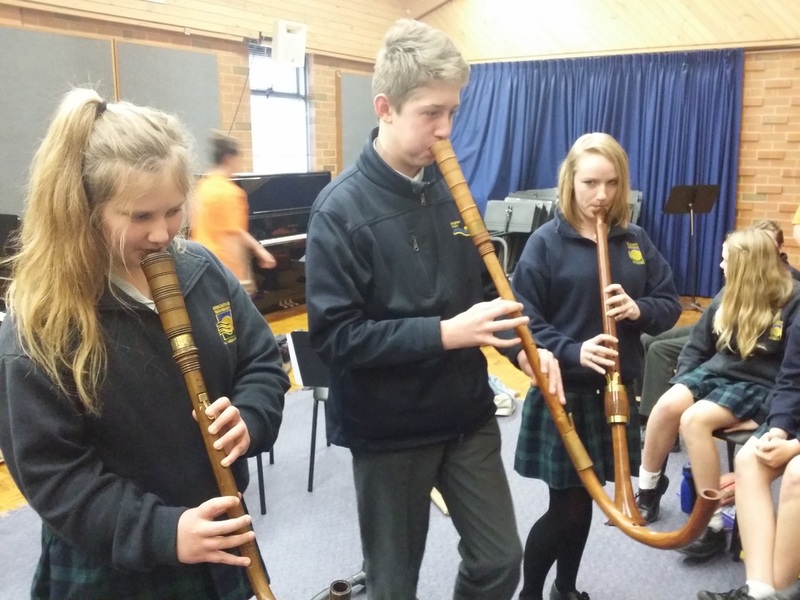 On the 28th of August 2015 the Recorder Consort South Australia (RCSA) performed a concert for Year 8 students. 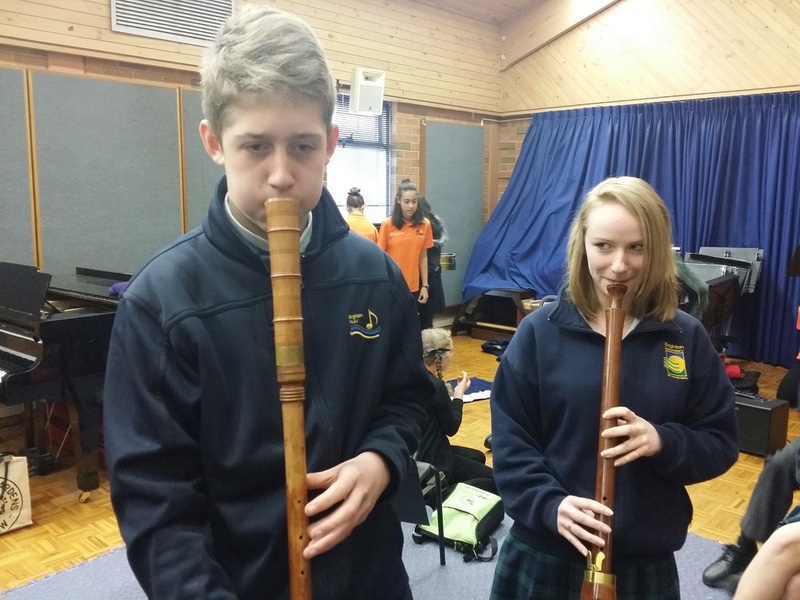 Brighton Secondary School students Konstantinos Manning (Year 12) and Esmond Choi (Year 10) played on a wide variety of recorders as part of a the 10-member ensemble which was led by DECD recorder specialist, Amelia Monaghan. After the concert the the students were taught about instruments from the Middle Ages (about 500 to 1400 A.D.) and Renaissance Era (about 1400 to 1600 A.D.). They were shown a range of recorders (including one very valuable instrument handmade from rosewood) and given the chance to play the Shawm, a variety of Krumhorns, and a Cornetto. The sound of the instruments was not unlike that of a flatulent duck, which indicates that the sugar-rich diet of the water birds 1500 years ago was appreciated more than it is today. 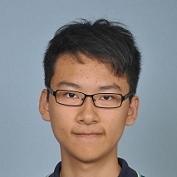 In the right hands however, the instruments are warm and lyrical. 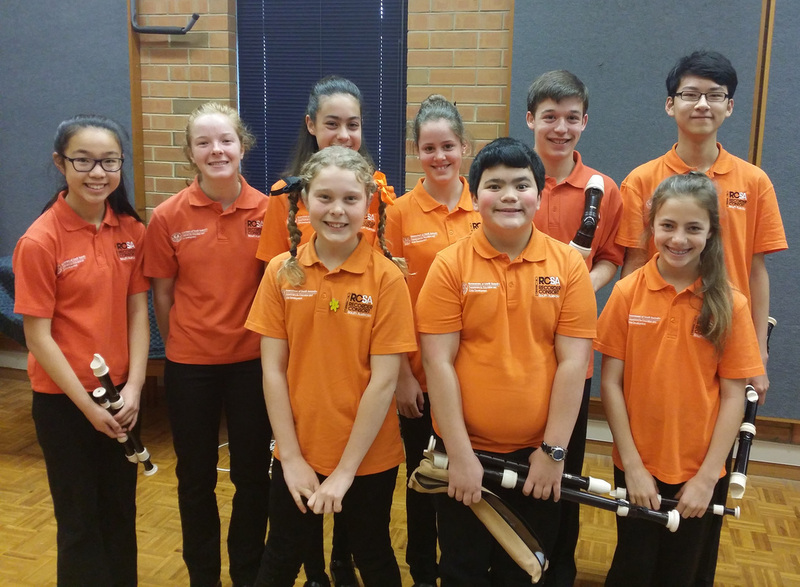 On the 19th and 20th of August 2015, the Music department entered 3 ensembles into the 2015 ABODA (Australian Band and Orchestra Directors Association) School Band and Orchestra Festival - all 3 ensembles won GOLD. Ensembles in the festival are awarded Gold, Silver or Bronze based on their performances, with Gold being the highest. 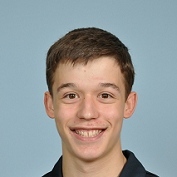 An overall section winner is also awarded in each section. 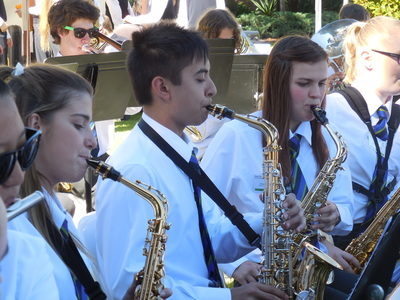 The competition features bands from the top DECD and private schools throughout South Australia. 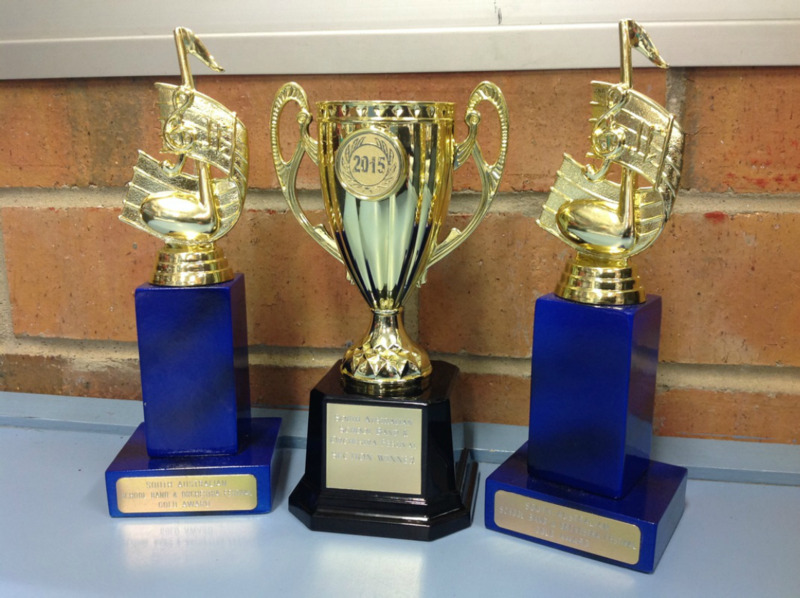 Brighton's Concert Band directed by Andrew Barrett: GOLD Award and Section Winner. 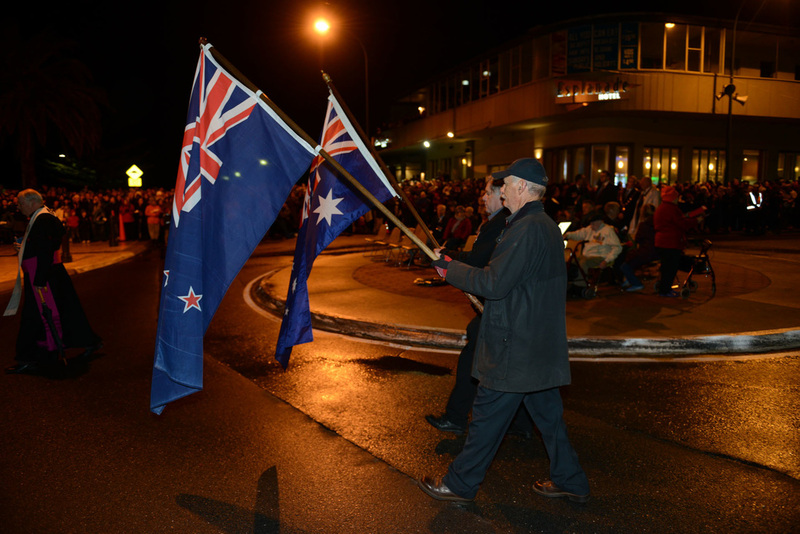 For results of all events at the festival click here (PDF - 785KB). 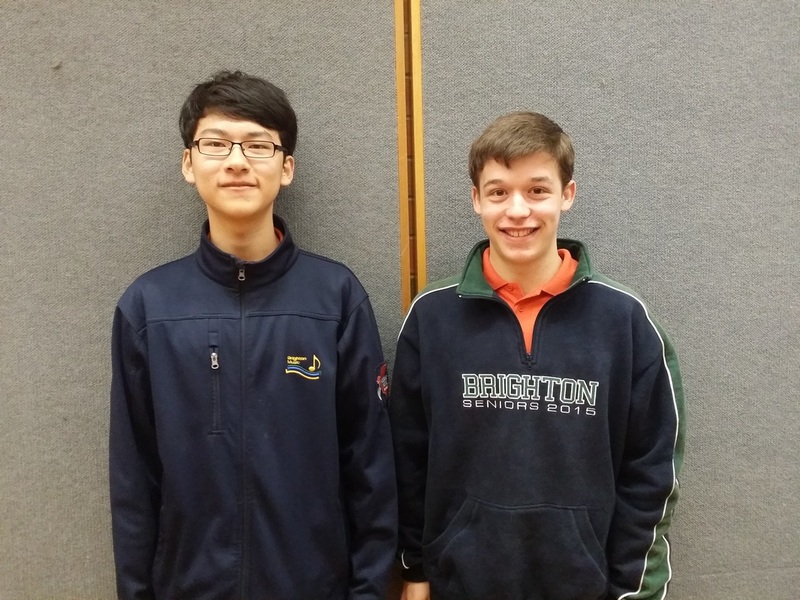 On Thursday the 6th August 2015, Konstantinos Manning (Year 12) and Esmond Choi (Year 10) performed with the DECD Instrumental Music Service Central Ensemble, Recorder Consort South Australia (RCSA) at the Adelaide Eisteddfod. They were awarded first place! It was a very long day but a fantastic result. 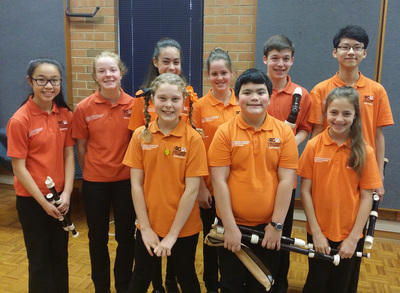 In late June 2015, sixty music students (from the Symphony Orchestra) toured to Sydney to perform in the Australian International Music Festival (AIMF). 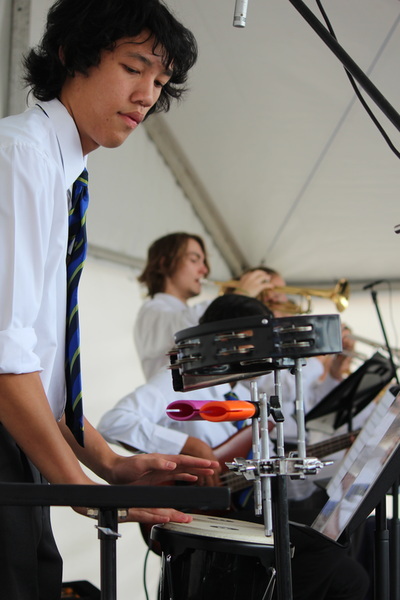 Surrounded by so many incredibly talented musicians from USA, China, Japan, Indonesia, Singapore and New Zealand, we engrossed ourselves in the music we were performing in the competition as well as having the time of our lives out on shopping sprees, ferry rides and a scenic walk to Bondi Beach. Our first day in Sydney was definitely the most tiring but such an incredible and exciting time flying to Sydney, becoming accommodated, being on the lookout to spot the Opera House and later that night actually performing inside it, which was such an amazing experience! Monday 29th June we drove by bus to Manly and went shopping in what is like for us a very small Rundle Mall and then afterwards caught the ferry to the Opera House where we were excited tourists and took many photos. 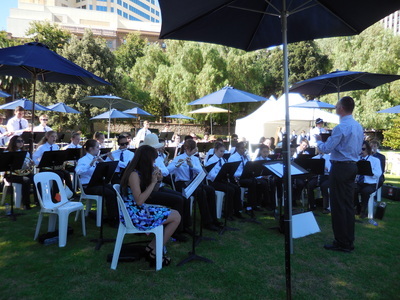 We then walked to the Sydney Conservatorium of Music and rehearsed for a couple of hours. 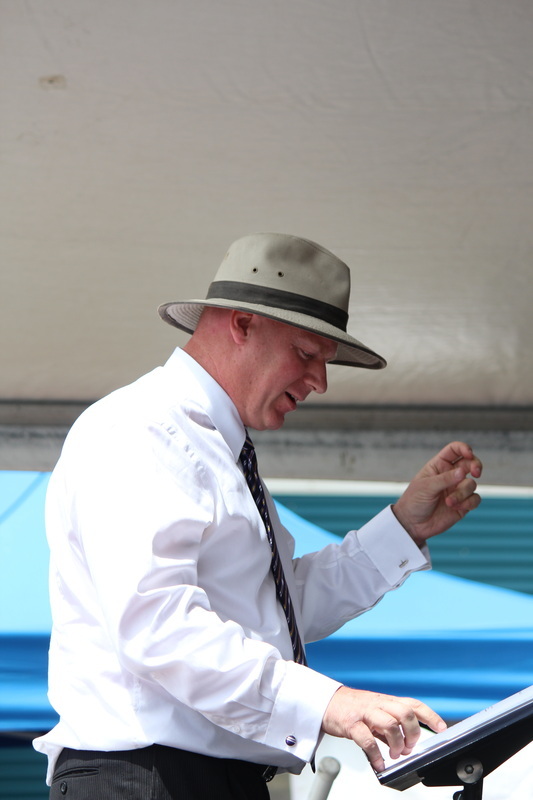 During our time over a number of days at the Conservatorium and Kambala School we had the privilege to be conducted by so many fantastic conductors, and the composer of one of our adjudicated pieces; Mark Grandison, who all had lots of different and valuable feedback. Mark Grandison took our orchestra a few times over the week we toured and was such an inspirational and encouraging person who we cannot thank enough for all the support and for composing the extraordinary piece Janus. 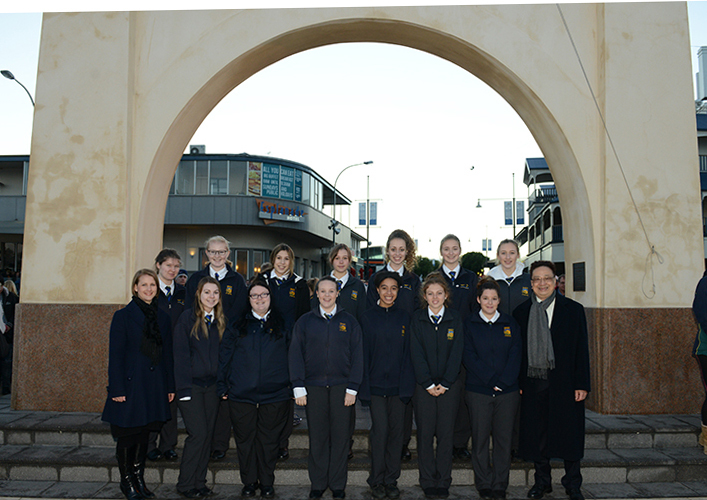 Adjudication day was on Wednesday. We spent the morning on a beautiful scenic walk along the coast to Bondi where we then were set free to go find lunch and shop. The adjudication was at the Sydney Conservatorium of Music. We had our sound check and I think by then we were getting quite nervous but pumped! 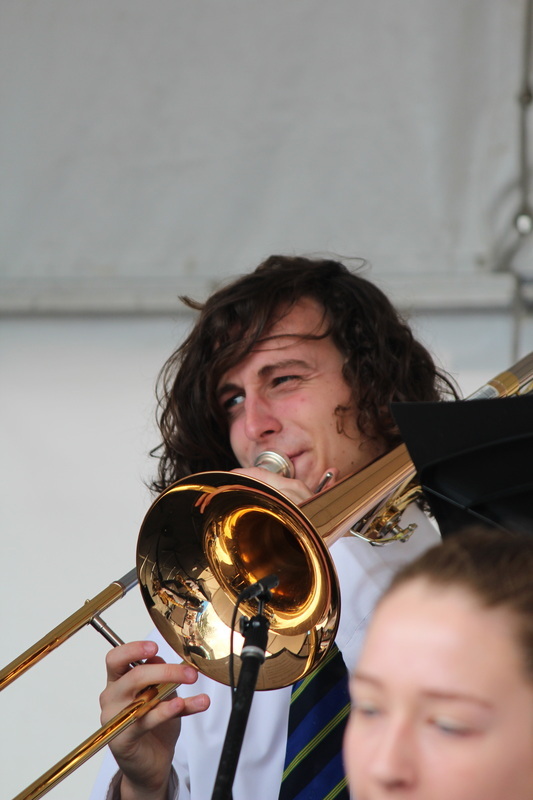 There were so many fantastic ensembles that night and Brighton Symphony Orchestra went out there and gave it their all, which made the experience even more gratifying! 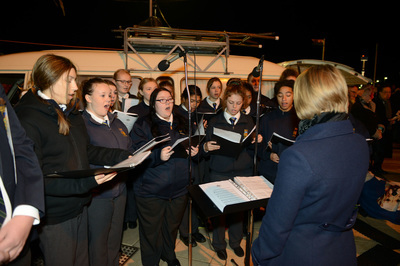 We also performed at Darling Harbour at the Maritime Museum. That was definitely the most difficult performance the orchestra had to do. We had been warned about so many concert venues having different acoustics but were not prepared for such a huge difference of sound. Friday was our last day and was full with sound checks. I loved this day so much because it made the whole week in Sydney even more worthwhile when they announced the placings each ensemble earned in the adjudication. 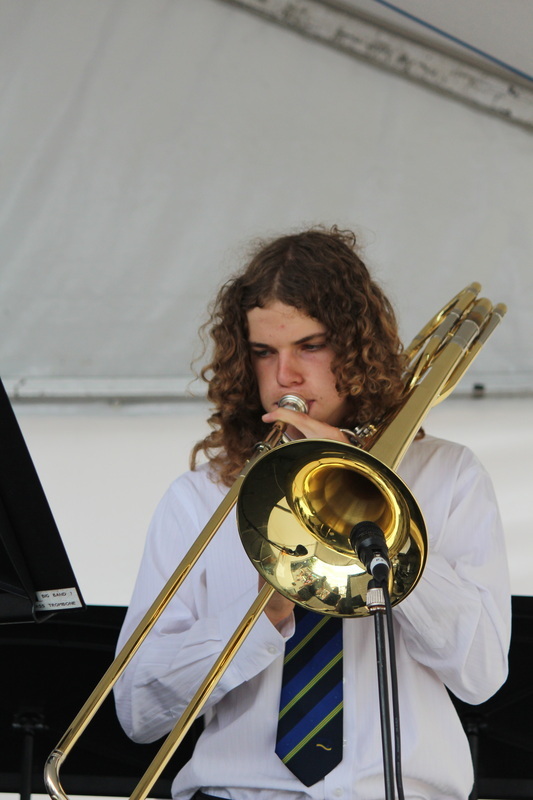 Keeping my hopes low I was even happier than I would have been when they announced GO﻿LD for Brighton Secondary School (3 Golds out of 3 AIMF Sydney tours isn’t too bad). On behalf of myself and the orchestra I would like to thank Mr. Dean, for all his support and hard work put into the orchestra over the years I’ve been at Brighton Secondary School, Mark Grandison for all the wonderful feedback, help, encouragement and for composing the amazing piece Janus. I would also like to thank all the other music staff – Mr. Bentley, Mr. James and Ms. Asser, for organising the Sydney tour so well and keeping us on track. 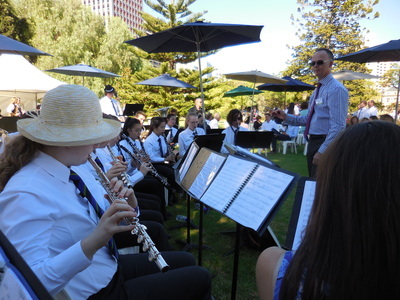 Thanks to all the parents of the students in the orchestra for being supportive and most probably paying for a fair bit of the tour so their children can experience what this once-in-a-lifetime opportunity is like. Also a huge thank you to the rest of the orchestra for all the hard work and extra time you have put in to pieces, it paid off, but most importantly we had fun! Jeffrey Kong as a répétiteur rehearsing with Benita Collings of Play School fame (photo taken in approximately 1967). 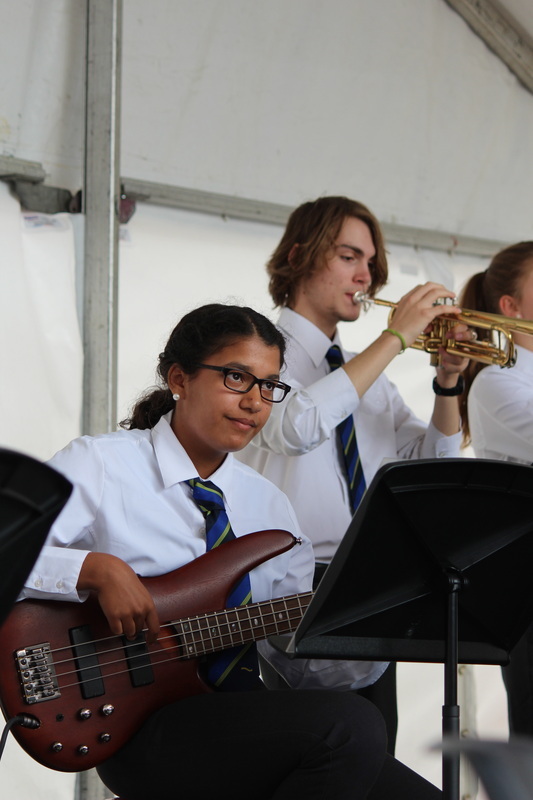 On the 24th June 2015, Brighton Secondary School celebrated Jeffrey Kong's outstanding contribution to Music Education over the last 40 years. Old scholars, work colleagues, and current students joined together to put on an amazing evening. 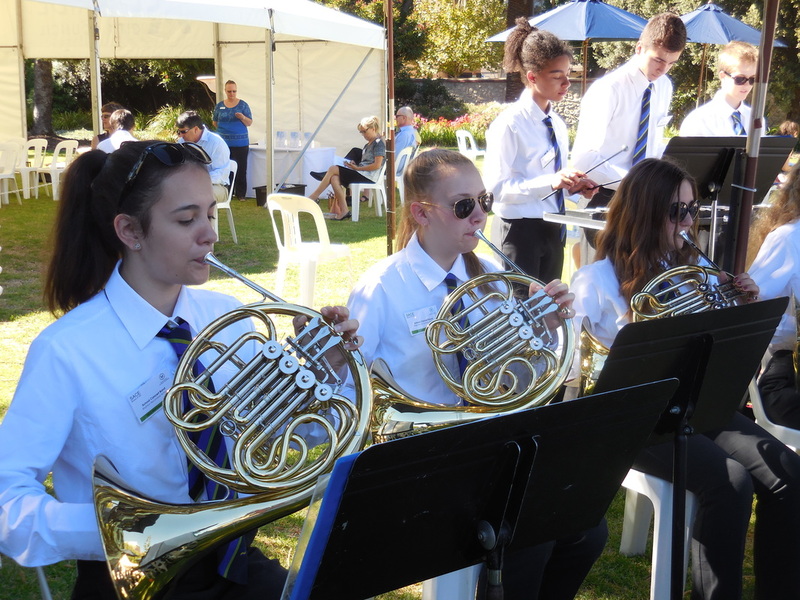 Details of the program can be found on our Concert Programs page. 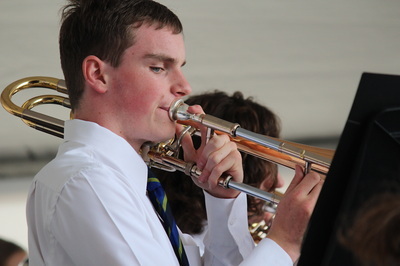 Videos from the concert can be viewed by clicking here. ​﻿"Last night was a marvellous concert to farewell Jeff. The performers were gob smackingly good! 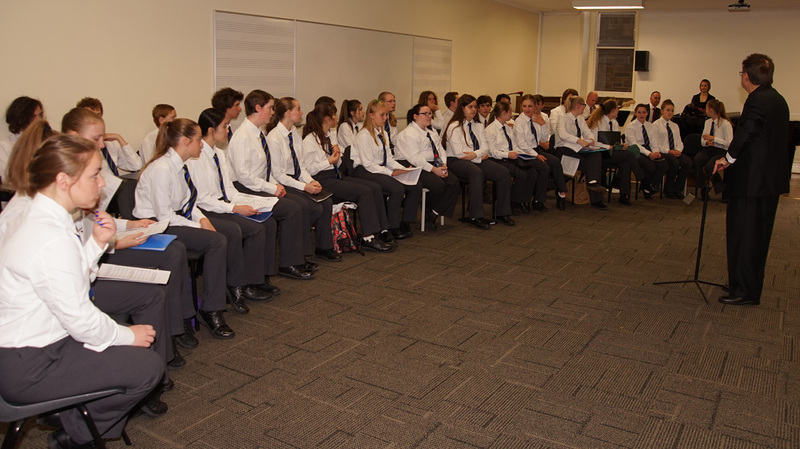 The Music Department organised the kind of professional evening we have come to expect from them. If it were in the Cabaret Festival I would have paid $150 a ticket. 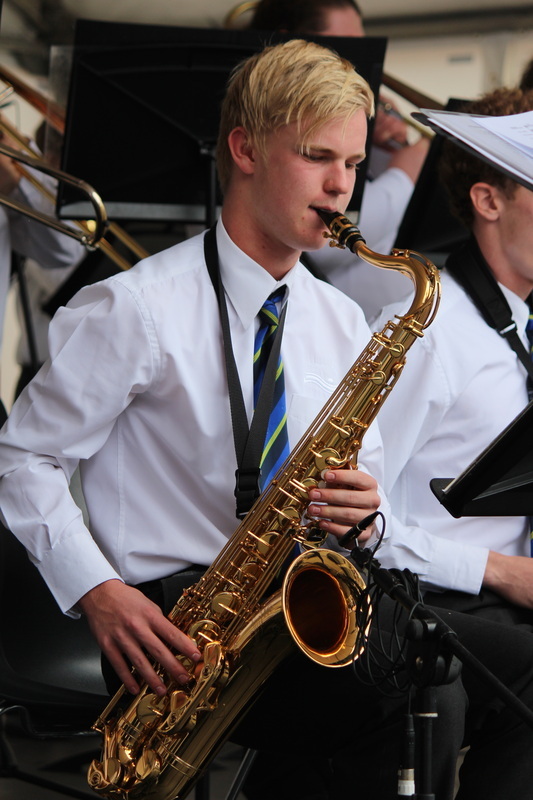 On Sunday 21st June 2015, Brighton's Sinfonia and Symphony Orchestra put on a spectacular concert. You can view the concert program here. 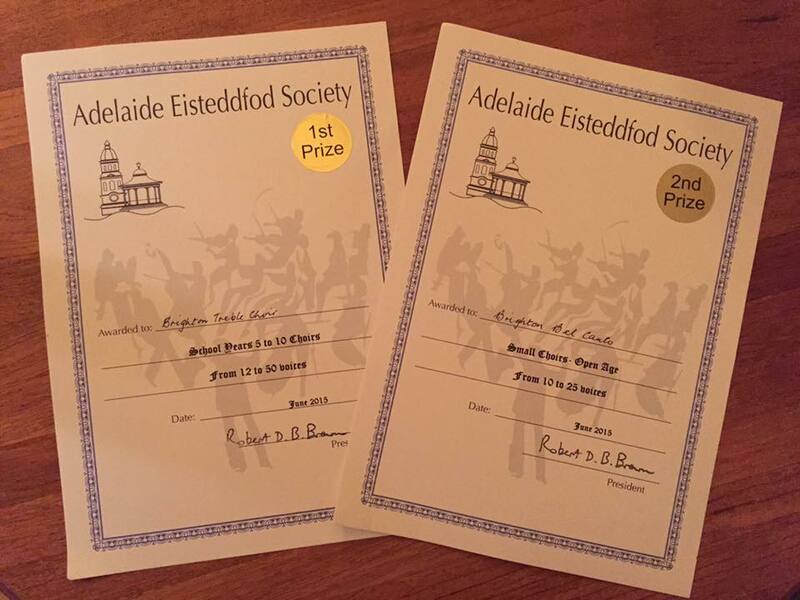 On the 17th and 18th June 2015, Brighton entered three choirs in the Adelaide Choral Eisteddfod. On Wednesday night the Boys' Chamber Choir (conductor Andrew Barrett) received an Honourable Mention in the Chamber Choir Section. On Thursday night the Treble Choir won the Junior Large Choir Section and Bel Canto placed second in the Open Small Choir Section, (both conducted by Emma Borgas and accompanied by Andrew Barrett). 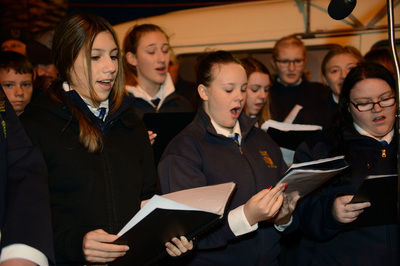 The Tour Choir also performed for 20 minutes on Wednesday night to promote their upcoming international tour (directed by Andrew Barrett, Emma Borgas and Jeffrey Kong). 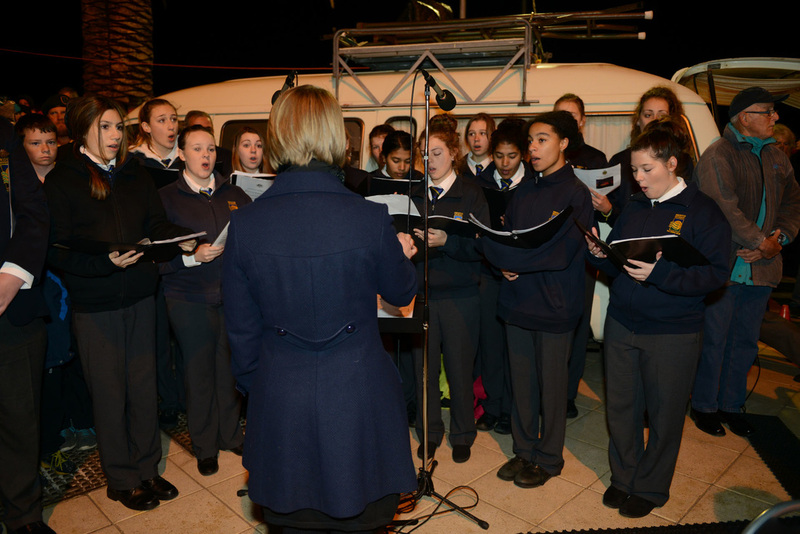 Congratulations to all students involved on their hard work and commitment to out-of-hours rehearsals. 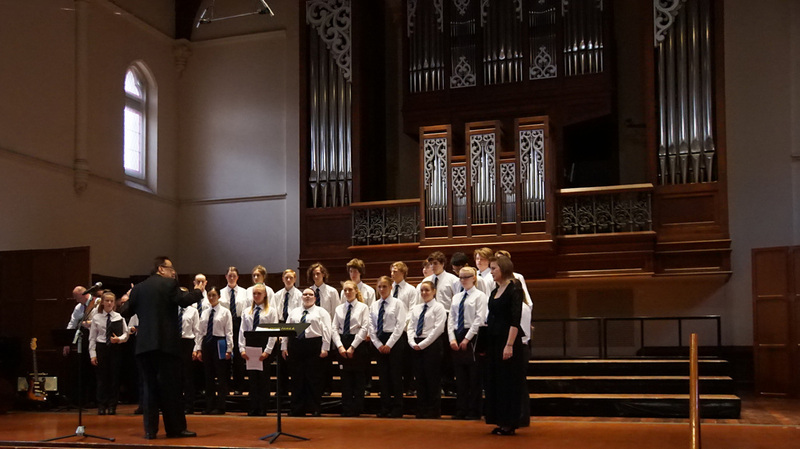 On Sunday 31st May 2015, the Treble Choir and the Boys' Chamber Choir participated in Young Adelaide Sings at Elder Hall. Both choirs sang beautifully. On Friday the of 15th May 2015, Big Band 2 performed at the Recognition Assembly where the school's student leaders are acknowledged for their commitment to their roles. The band performed several pieces from their repertoire as well as the Australian National Anthem which was skillfully arranged by Andrew Barrett. 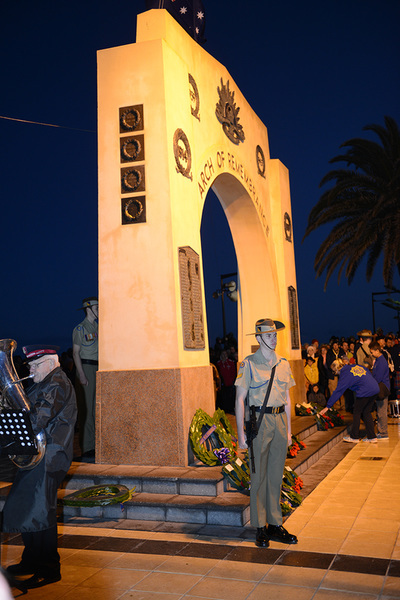 On the 25th April 2015, the Bel Canto choir performed at the ANZAC Day Dawn Service which was held at the Arch of Remembrance, Jetty Road, Brighton. 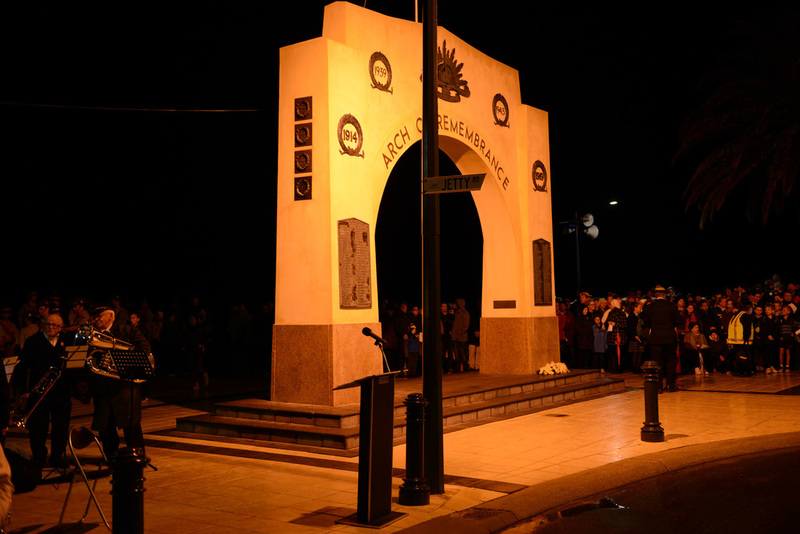 This year's ceremony marked the 100th anniversary of the ANZAC landings at Gallipoli. On the 28th of February 2015, the 2015 Tour Choir performed as a guest of The Spooky Men of the West and the Women with Latitude's Adelaide Fringe show. 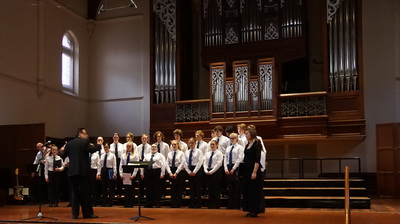 The performance was held at Elder Hall in The University of Adelaide. The choir performed five old 'favourites' from their past repertoire and debuted Rhys Williams' arrangement of Coldplay's 'Midnight'. The latter was singled out by both the leader of The Spooky Men of the West and the online Adelaide Arts Magazine, The Clothesline, as being a stand-out performance from the evening. 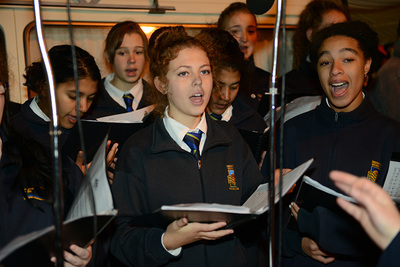 "Brighton's ... Touring Choir set was well rehearsed, with the stand-out performance of an original arrangement by one of th﻿eir ﻿own students of Coldplay’s Midnight." On the 10th of February 2015, the Concert Band performed in the grounds of Government House, Adelaide as guests arrived for the 2015 SACE Merit Ceremony. 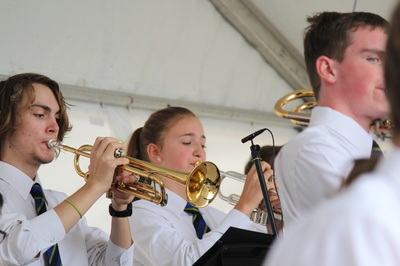 The band played for 50 minutes from 9:30am to 10:20am before the brass players joined students from the other Special Interest Music Centres (Woodville, Marryatville and Fremont-Elizabeth). Considering the early start to the day (7:00am bus departure from school), the extremely hot weather, and the very short preparation time of two rehearsals, the ensemble acquitted itself in a very professional manner. 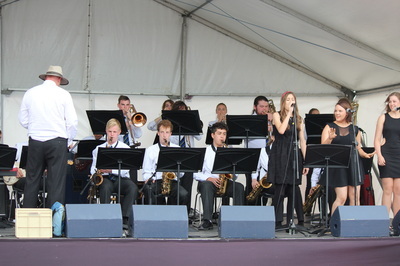 On Sunday 1st February 2015, Brighton’s Big Band 1 and three guest vocalists performed at the 10th Annual Brighton Jetty Classic. The band played for an hour from 2:30pm to a highly appreciative audience on the Esplanade outside the Brighton Surf Life Saving club. 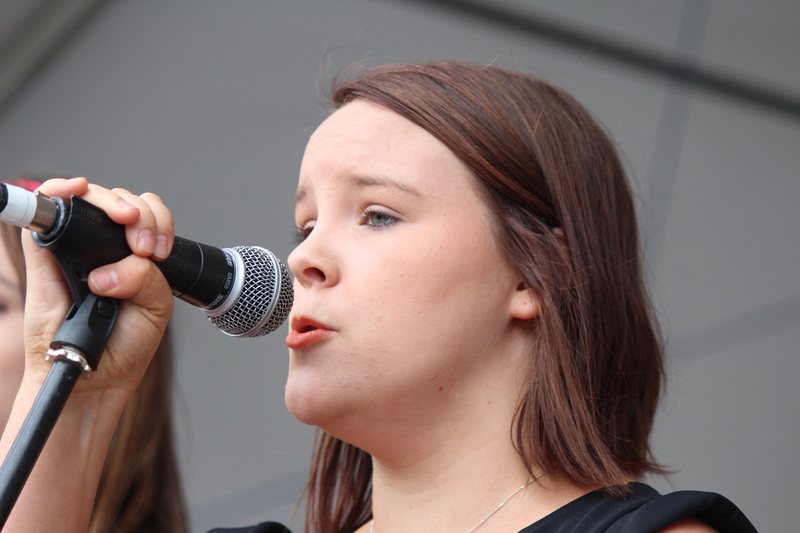 Vocalists Kaitlyn McKenzie, Simone Brock and Mikayla Link belted out funk, soul, jazz and classic rock hits and were supported by a slick big band which featured solos by Felix Chapman-Petrone, Kyle Trevenen, James Baird, Isabel Mawby and Louis Gillespie.